Vintage Treasures in this PACKED Evergreen Park Home! 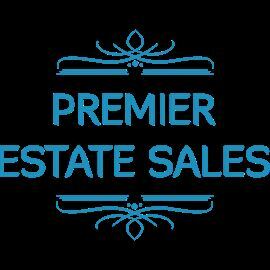 AddressThe address for this sale in Evergreen Park, IL 60805 will be available after 9:00am on Wednesday, May 8th, 2019. For the benefit of all our customers, we do not allow previews, pre-sales or pre-pricing information. We will honor a watched wait list - if your name is called and you are not present, your name is then added to the end of the list. Unfortunately we do not accept checks, however we do take credit card purchases of over $20 with no additional fees as well as Apple Pay! We are not responsible for accidents or injuries during the sale. All sales are final so please inspect purchases carefully. If purchasing large items please bring muscle. Joanne and the entire Premier crew. Tons of awesome vintage treasures! Kitchen miscellaneous - vintage and more! More information and photographs to follow shortly - you won’t want to miss this sale! !